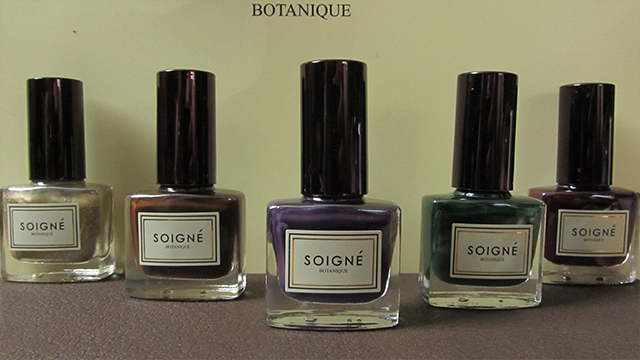 Just when I thought I had enough nail polish to last me through autumn and winter, I stumbled across Soigne. It caught my eye because the stand was so pretty. It had a wall of white roses, a bit like the one Kanye West gave Kim Kardashian West. It also said it was “botanical”. I was intrigued. 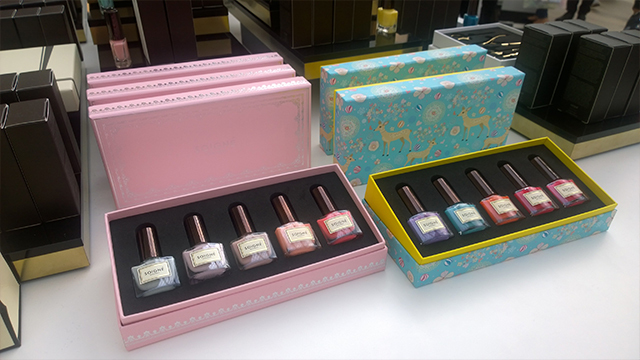 All of the nail polishes come in beautifully elegant bottles and each bottle comes in a box. 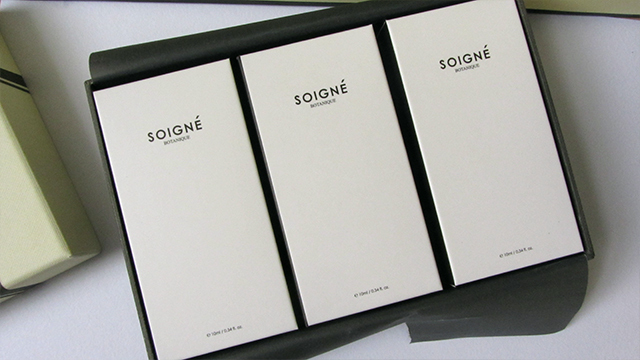 If you caught my Periscope broadcast you would have seen that the Soigne nail colour bottles really do travel in style! 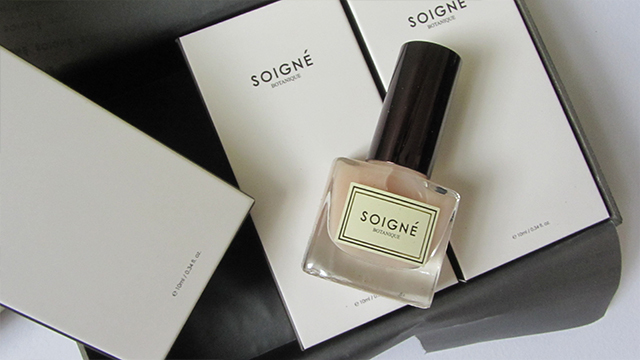 The name Soigne rang a bell but I hadn’t personally seen the products before. 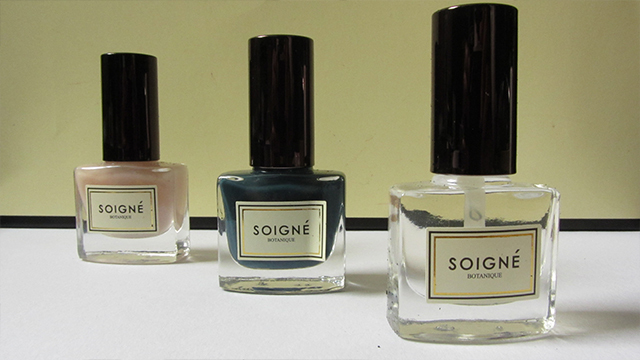 Soigne means “to take care of” and my nails really need some care right now. As you can see, I had no choice but to try the products, there were more pros than cons! 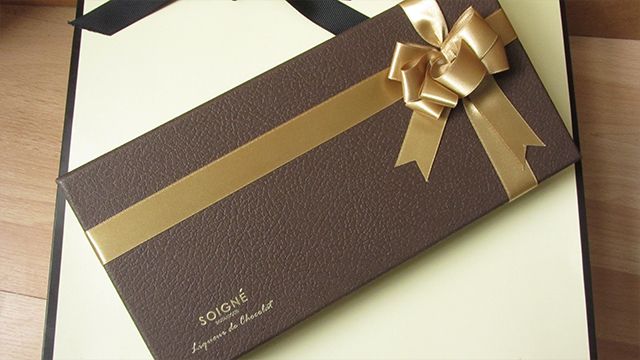 I was tempted by the gift boxes which contain five shades exclusive to the box but I tried to be good and picked one colour, Bleuet. I then decided that to get the full benefit I needed the corresponding Oxygen Base and Gel Effect Top and to confirm my decision, there was an offer if you get three products. 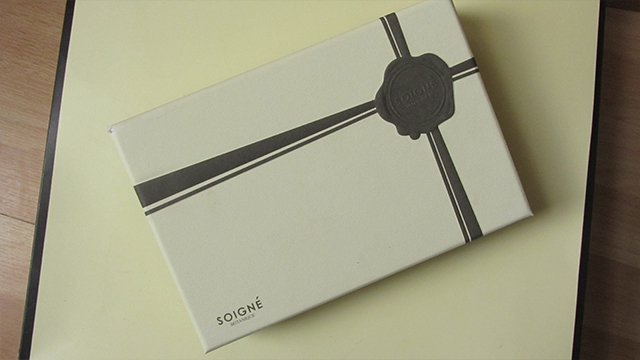 Even better, the three came in a nice little gift box- I gifted my custom collection to myself. 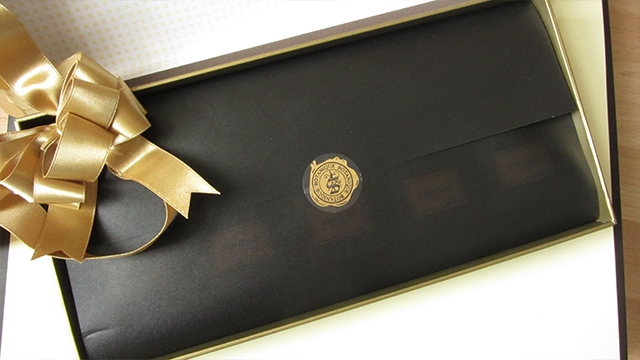 I then gave into temptation and bought the Liqueur de Chocolat gift box. I just couldn’t resist the lure of the deep green Absinthe shade. I was unsure about the Whisky shade but I’ll find a way to make it work. Also in the box are Champage which looks like liquid gold, Parfait D’Amour a pretty purple and Vin Rouge, a deep red. I went home with the plan of putting the other gift boxes on my wish list but when I looked on the website, Choux a la Crème had sold out. 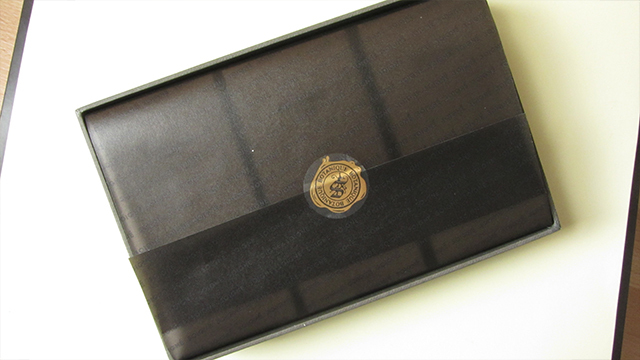 The shades in the five gift boxes are exclusive to those boxes so I’ve completely missed out! The two other collections available are more suited to spring so I didn’t go for them. 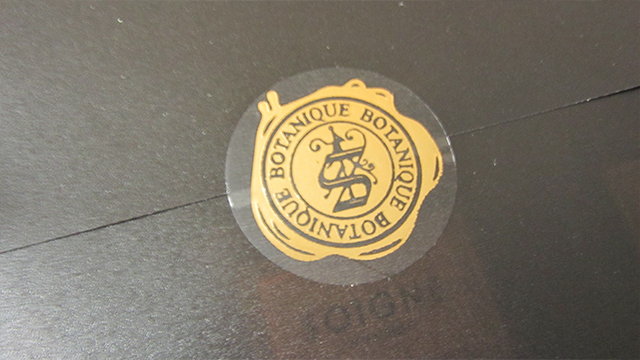 I’m hoping that as the nail lacquers are 85% botanical, they will be good for my poor, beaten nails. I need my products to multitask – nail health and good colour are the order of the day. If I don’t get around to wearing them I hope to stick the colours on a nail wheel to show you. 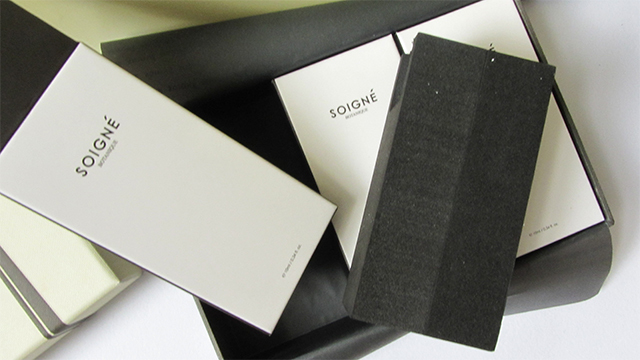 Have you tried Soigne? What did you think?